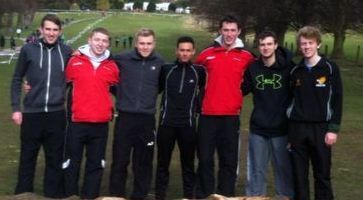 The course and conditions were good for the National Cross Country Championships at Wollaton Park, Nottingham. 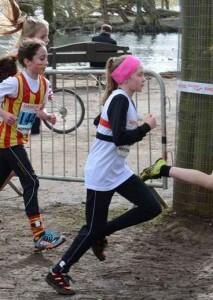 Unfortunately there was a poor turn out from Liverpool Pembroke Sefton runners. The best result came from Under 17 Rosie Johnson who was a good 23rd but there will be tinge of disappointment in this as Rosie had run confidently in claiming third in the Northerns and might have expected a first ten placing. The only team LPS had out was in the Junior Men where a positive Warren Turner was 64th followed by Alistair Nelson(82), Sean Kirkbride(94) and James Loftus(121). The squad was 9th and also had Ryan Blackwell(131) and Rob Parkinson(175) in reserve. Four lone individuals bravely survived their event, U13 Fran Price(187), U15 Anna Hulme(163), U15 Ben Singleton(200) and Senior, Danny Gilbody(923). A trio of adventurous senior women also made the trip, Lauren Wilson(243), Sam Wade(306) and Vicki Jones(378). On the up-side there will be individuals who will have gained some personal satisfaction from performing well at this demanding level. None more so, one suspects, than Lauren Wilson and Warren Turner.